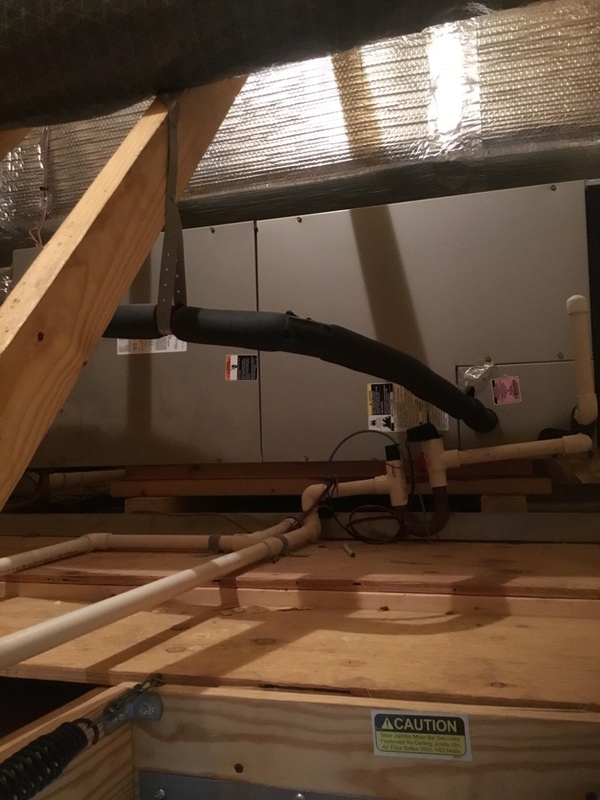 Supreme Air provides Air Conditioning, Heating and Plumbing Services, Repair, Installation, Maintenance, and Tune Up in Mount Airy, MD and surrounding areas. I really appreciated that chris called ahead, was on time, and found a problem other technicians overlooked. On arrival checked thermostat was calling for cooling. Measured EWP,LWP,EWT,LWT,return, supply, amps, and voltage. 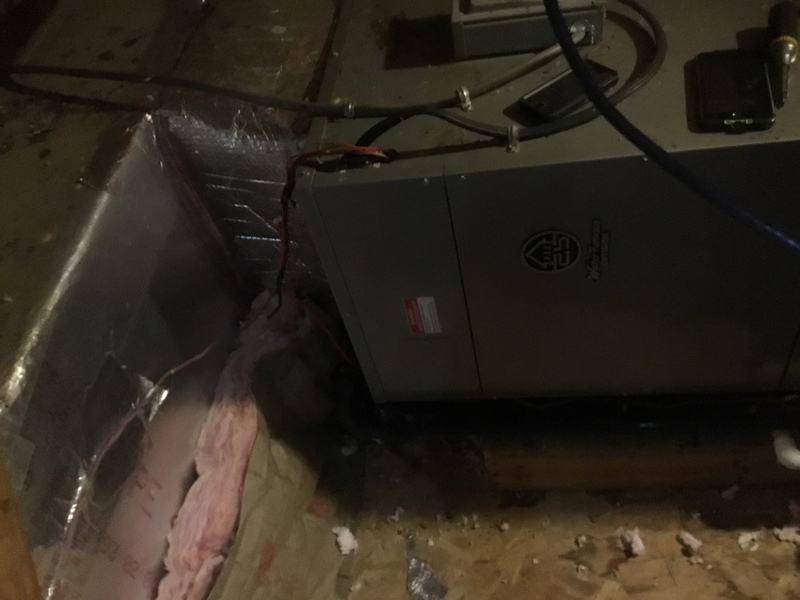 Inspected electrical connections, capacitor, contactor, blower wheel is clean, evaporator coil is clean, replaced filter provided by customer, tested condensate pump, clean condensate drain line, and also pressurized it to 60psi. Spring pm on 03/26/29 On arrival set unit to call for cooling measured supply and return air temp measured voltage and amps inspected electrical connections checked drain and cleaned checked filter and replaced checked water I found humidity problem in house recommended to install dehumidifier I gave quote for customer he needs some time to talk his wife and his going to call us unit tested unit operating normal at this time. 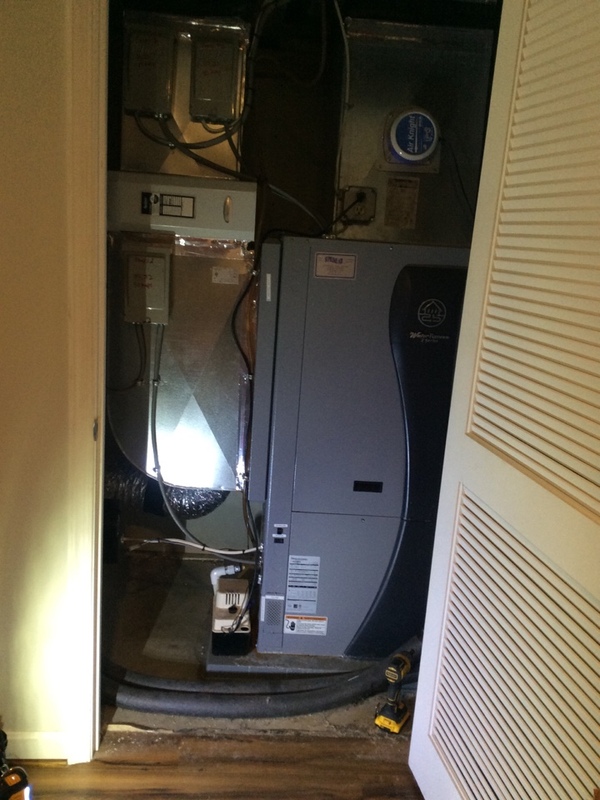 Estimate for Honeywell zone panel, 2-Water Furnace Intelli Starts. I started by installing the 2 Intellistart modules. The large one went in the package unit and the smaller one went into the cube. I tested by units operation to ensure start up of the compressors. Next I wrote down the configuration of the zone panel before removing power and the wires. I then installed new zone board and set to previous configuration. I tested the operation through the zone board. Customer came down and confirmed proper operation and damper positions. While hanging crown molding yesterday customer inadvertently put a trim nail through the Tstat wire bundle. The wire was inaccessible to get to it and splice. The best option was to run the wire to a wall in the kitchen. Customer and I ran 15 ft of wire and I wired the Tstat and unit back together. I tested the unit with the aid tool and the unit is operating normal. Fall pm on arrival set unit to call for heat measured supply and return air temp measured voltage and amps inspected electrical connections checked drain and cleaned checked filters recommended for unit #1 capacitor need to be replaced I gave quote for customer customer accepted I ordered we have to come back to finish the job also customer have issues with unit #1 unit running non stop and the damper is closing still unit running. Another technician come out to find the problem collected $127 for capacitor replacement. No balance left for this job. I replaced the run capacitor. I tested zone dampers from the zone board and they open and close normal. Customer will video tape any future occurrence. Customer asked for an estimate to install Intellistart Module. I prepared a quote and verbally gave them the cost and will email it as well. I replaced the air filter with one provided by the customer. I found the pressure drop and heat of extraction to be lower than printed data for this unit. The axb setup was at 50 and 100 vs pump which allows for maximum flow through the pump. There was no valve on the loop piping so I went to the pumps and the vs pump was warm and working but the other pump was cold and clearly not working. I found no voltage at the pump and traced it to inside the unit. I wired it into the fixed pump relay p1 and p2 and started the unit. Pump drawing .98 amps and the pressure drop actually needed to be slowed down slightly with both pumps working. I set flow rate correctly. Loop pressure was good. I checked the electrical wiring and electrical systems, all are within specification. Unit operating normal. 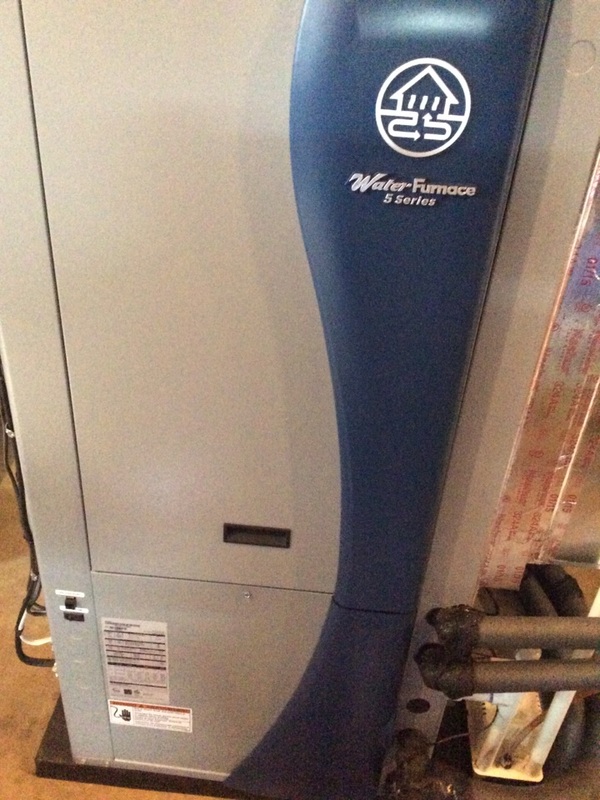 Replacing indoor fan motor on Water furnace Air handler in Mt. Airy , MD .